We have known that the latest processor from Qualcomm has already been released and the announcement was done at the end of last year. The next version of Snapdragon processor for the flagship smartphones will be called as Snapdragon 845 which is the successor to the Snapdragon 835 processor which was seen on almost all of the smartphones released in the flagship segment last year. Now, we have known that there are some improvements and changes made every year to the processors from Qualcomm which improve the flagship processors every year and give even better performance than the previous year. For starters, we would like to mention that you should expect some performance improvements from the latest Snapdragon 845 processor as well which is same as the last year and the year before that with the flagship processors from Qualcomm. Now, what you would be interested in is the fact that how is the Snapdragon 845 as compared to the Snapdragon 835 processor which is on the phones of 2017. So, we can now have a look at the benchmarks of the Snapdragon 845 as compared to the Snapdragon 835 now that the benchmarks have been revealed. In terms of performance, you should note that the Snapdragon 845 processor is 25% faster compared to its predecessor. 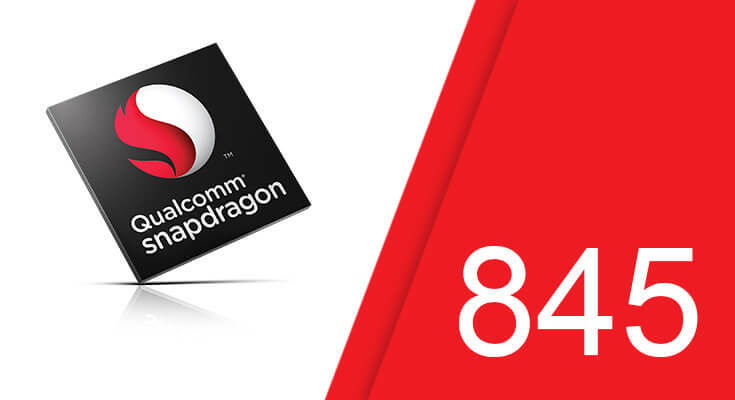 Apart from the speed of the Snapdragon 845, it is also interesting to note that the Snapdragon 845 is also very power efficient which is very helpful in consuming battery life. As far as the results are concerned, the Snapdragon 845 scores 265924 on Antutu whereas the other Snapdragon 835 devices currently in the market score around 195590 to 213879 with the highest score coming from the Huawei Mate 10 Pro. These results suggest that the Snapdragon 845 processor is a step ahead from the previous processor but there is no such huge difference in both the processors which would compel anyone to upgrade to the latest phone other than the design aspect.